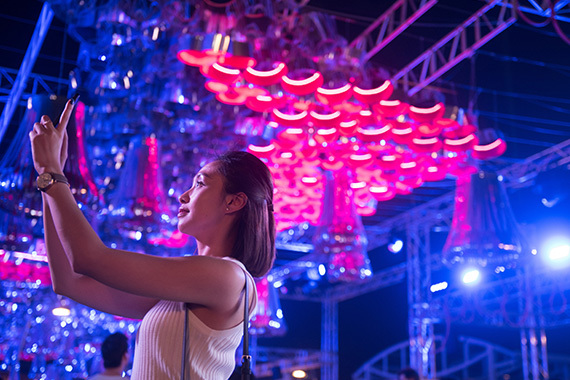 [Hong Kong] To celebrate the 10th Hong Kong Wine and Dine Festival, visitors were able to take selfies with Augmented Reality (AR) features as well as having a chance to win Super Time Offers totaling over $1,700,000 all through their mobile web browser on their mobile devices. 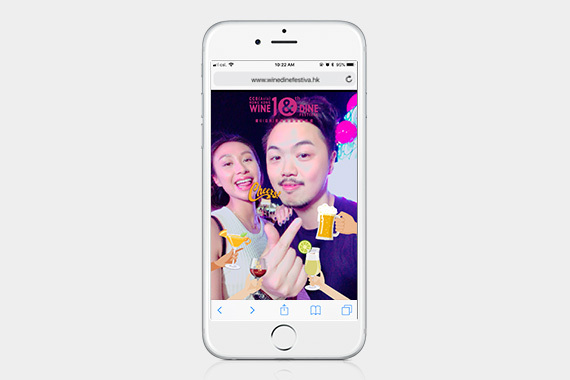 Starting on 25 Oct. for the duration of the event, thousands of users within the vicinity of the venue accessed the mobile web browser link and took photos with Face Detection AR effects. Scan – Scan one of the many QR codes located around the festival grounds to access the game website. Users Kept an eye out for the LED screens which broadcasted reminders for the start of the game. 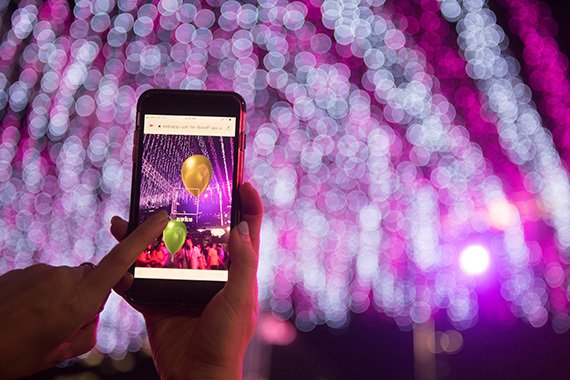 Catch – Switch their phone’s camera on and move around to start searching for balloons. 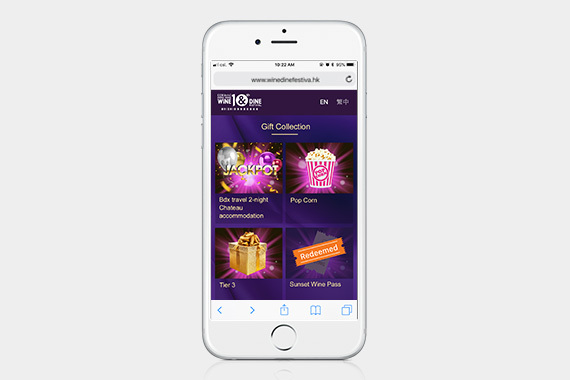 Once located, tap on the balloon inside the square box to reveal your prize. 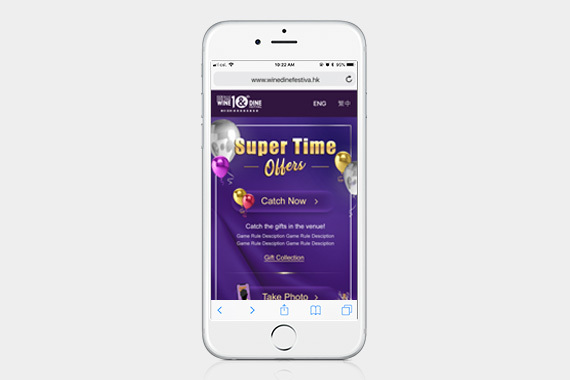 Redeem – Redeem their prize at the Super Time Lounge during the designated periods on the same day. Players were able to catch one balloon during each 30 minute session. With over 50 thousand balloons caught during the event, it was one of the most popular attractions at the 10th Hong Kong Wine and Dine Festival.